The Red Sox received a strong start from Matt Kent, who allowed two runs (one earned) on eight hits and punched out four, but were unable to provide him with any run support. Salem recorded only five hits in the game, scoring their only run on an RBI groundout by Josh Ockimey in the sixth. Michael Chavis's double was Salem's only extra-base hit of the game. The Red Sox were trounced in the second game of their doubleheader as a single by Jhon Nunez was Salem's only hit of the game. Daniel McGrath started on the mound and allowed four runs in 3 2/3 innings, walking three and fanning two. Yankory Pimentel tossed 1 1/3 innings of scoreless relief and Mitchell Osnowitz allowed two runs in an inning. Sunday's game in Greenville was postponed due to inclement weather. The game has been rescheduled for Tuesday, May 2. 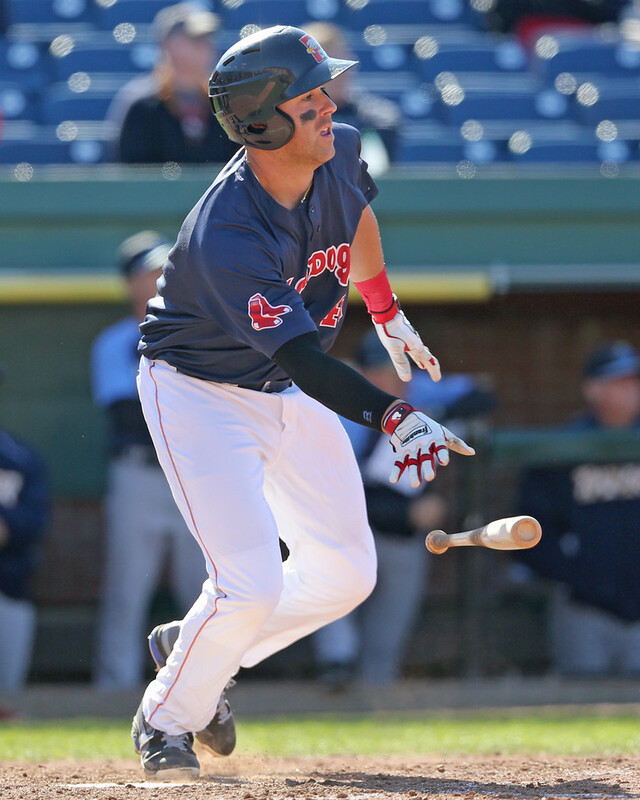 Player of the Day: Mike Olt provided the walk-off hit for the Sea Dogs on Sunday, driving in two with a single, but that was not his only contribution. Olt was 3 for 5 with a home run and three RBIs in total and was a key factor in Portland's win. In 13 games this season, Olt is slashing .213/.296/.426 with two home runs.